I’ve had a brief visit to Grantchester, where I grew up, to see my mum and to go to the Advent Carol Service in Kings College Chapel, a great treat. As a teenager I used to queue with friends for the more famous Christmas service, but the service for Advent is my favourite. There is always some very early music which I love. So in this flying visit I spent time in a beautiful, old building, listening to beautiful and ancient music; and took pictures of winter farmland. The medieval world and the outdoor world are both part of the fabric of my childhood and adolescence. Much of what I have written in this blog deals with a sense of connection to the past and to a particular landscape (see Childhood landscape and Landmarks in a flat country). On Thursday it will be the first anniversary of beginning the blog and soon after that, the anniversary of us moving to Heckington. So my next few posts will be a kind of retrospective; a chance to think about what I have learned about connection to place and people through this adventure of moving to somewhere new and finding myself at home. I will put up my first few posts from this time last year on the Facebook page. 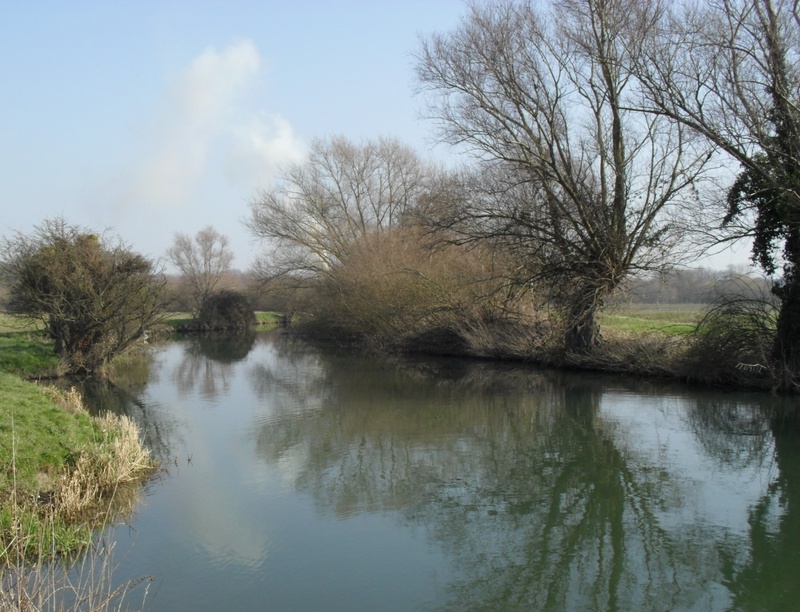 I have also put up an album of photos taken in Grantchester, some, but not all, of which have appeared in earlier posts. The Facebook page is public, like a business page or website, so you don’t have to have a Facebook account in order to visit it and look at photos. You would have to be on FB yourself in order to ‘like’ the page or post comments on it. I have loved writing this blog; it has been a focus for my thinking about history, place, belonging and so on. It has also been a reason to take more photos than I had done for a long time before. So thank you to everyone who has come along for the ride, especially those of you who have been reading and following since very early on. You know who you are! A bit of an experiment this, as flagged up in my last post: here is a minute of so of bell-ringing as heard from my garden on Tuesday evening just after I got home from the train. The weekly bell-ringing session is from 7 to 9pm. Church bells, like crowing cockerels, often give rise to stories of townies moving to the country and not liking the noise. But I spent my childhood in a village: bells, chickens, cows, bring them on, I say. These are accompanied by evening birdsong and some flowers for you to look at. Definitely not an attempt at video art; just a chance for you to drop into my garden for a moment. I can’t help wondering if the birds take any notice of the bells or not. In the background, at the end of the clip, you can just hear the rooks cawing from their home a few gardens away (see Rooks at bedtime). Now they really are noisy neighbours. St. Paul’s was striking nine o’clock as I walked down from the Millennium Bridge after taking these photos, hands too cold to hold the iPad anymore; it made me think how much I like the church bells telling the time back in Heckington. This same weekend last year the sun was shining for my birthday walk and lunch in London; this year, in the wintry weather, only three of us were hardy enough for a short walk. Lovely friends and family all gone home now after lunch, chat and birthday cake lasting the afternoon. We ate the Spiced Salt Beef that I got the beef for from Bassingthorpe Beef (see A lumpy thing but mine own or At the farmers’ market). The recipe is in Spices, Salts and Aromatics in the English Kitchen, perhaps my most-used Elizabeth David cookbook – and her least well-known. Guests today aged between two and eighty-one, but in the middle a number of my exact contemporaries; people I have known since early childhood or teens or student days, back when we were busy growing into ourselves; people I did all that talking with (see Grantchester reprise). Very sweet to have these connections still, after so many years. Along with pictures of St Paul’s and Millennium Bridge, in the gallery above, are the tower of Tate Modern and some of the many silver birches planted in front of it. I always think these look like the Hattifatteners in Finn Family Moomintroll, a favourite childhood book recently revisited. Tap on the pictures to see bigger versions. Here’s a little more of Grantchester, where I grew up. These are from Tuesday’s walk with my friend and her dog. We started in Grantchester meadows where, in the summer, you see tourists and students in punts on the river. We ended on a footpath past more workaday farm fields. 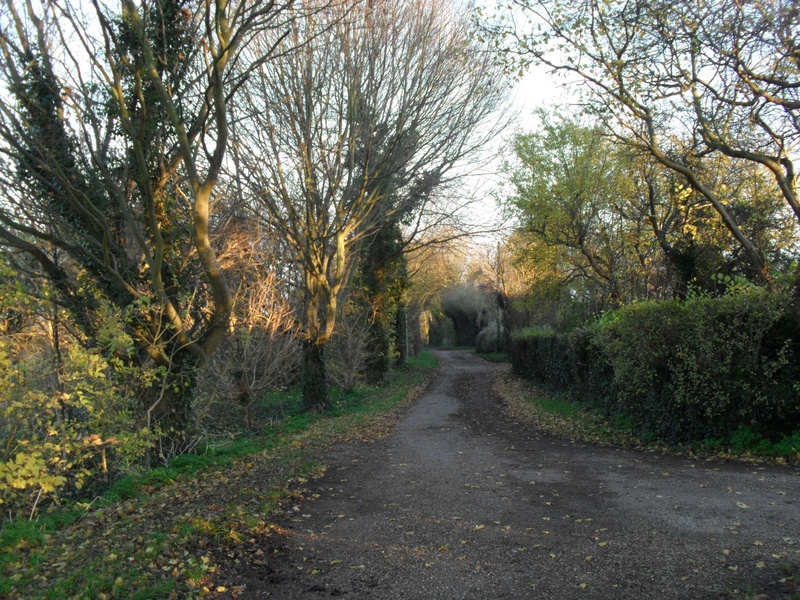 Picture below is a stretch of farm road that I know like a piece of myself, that was a short cut from my house to another friend’s, when we were all still children together at the village primary school (wonderful but long since closed). The river and the meadows are lovely; but it’s the farm road picture that tugs at my heartstrings. These paths remind me of the hours I spent walking and talking with friends as a child and teenager. I think of how we used to walk one another home, then turn back to walk the other way because we were still talking. Tammy Wynette’s Half the Way Home takes me straight back there (and makes me cry, as a good country song should). The sky, the field and track, my friend beside me; all so vivid. But what on earth were we talking about? 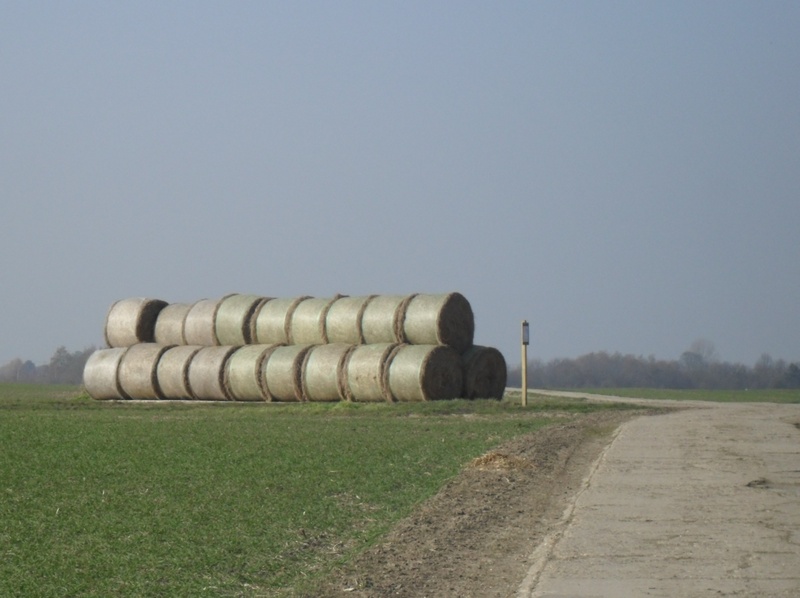 I’ve written early on in this blog about how the Lincolnshire countryside, though unknown to me before I moved, seemed completely and instantly familiar. 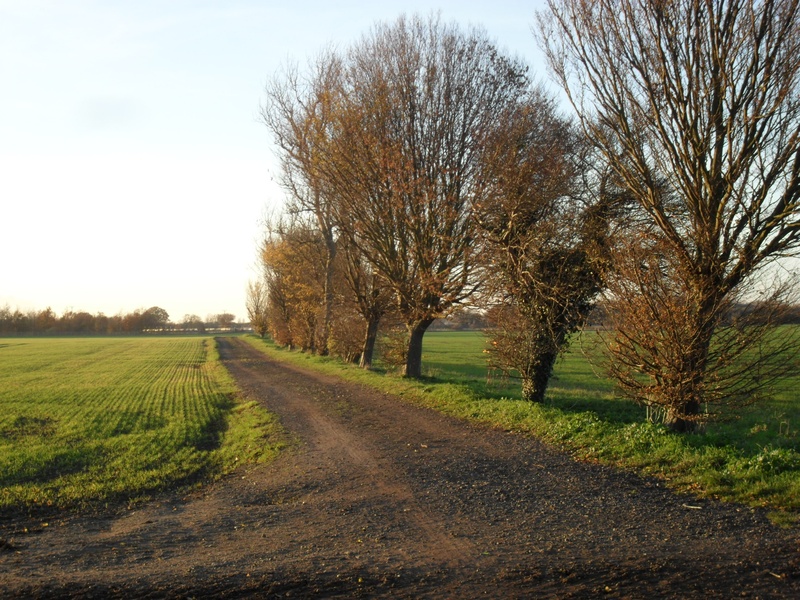 Here are pictures I took yesterday, on a walk from Barton to Grantchester, a few miles to the south of Cambridge. I’m visiting my mum, who still lives in the village where I grew up – and I have walked this way often over the years since childhood. You can see from these why arriving in a flat, agricultural landscape would seem like coming home to me! As with other galleries, tap/click on a picture to see them in bigger versions. This avenue of trees in the park near our house makes me think of walking back from school with our daughter in autumn, very slowly while she looked for conkers among the fallen leaves. And even further back than that, of walking with our first dog, in the days when I didn’t know that I would have a daughter or that she would go to the school in the park. In these last days of life in Manchester I wonder how I will feel about the place once I don’t live here any more. I’ve spent so many years grumbling, never quite felt at home or at ease. And yet, it is here that I have had most of my ‘grown-up’ life, here that I became a step-parent and a parent and came to terms, of some sort, with my own troubled childhood. I have found good friends here, got to know whole families, watched my friends’ children and my child’s friends grow into young adults (some now with children of their own). I conjure up the places where I have walked, where I have eaten, bought food, watched plays or heard music; and I see and hear the people who have been there with me. So I ponder this paradox: that I don’t love this city, find little beauty or joy in its many faces, and yet so many places in it remind me of love. It’s been grim these past few days: partner really ill with flu, me with cold and the packing an impossible task. At last it’s nearly done, with help from two brilliant cleaning/decorating women. Tomorrow, come what may, it all goes into the removal van; the morning after that we leave.